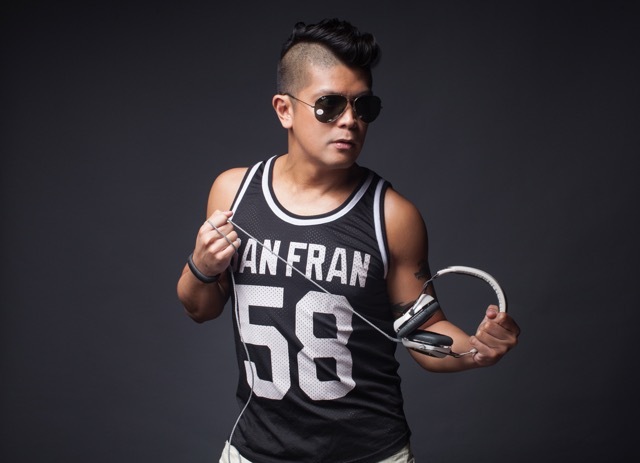 Jay Santos is one fierce Filipino DJ. He began his career early 2002. His first residency is at Manila’s most well established LGBT club, Bed. His specialty in tribal house with lots of vocals and heavy chunky bass lines can drive the dancefloor wild. His high energy, big room sound, with non-stop drums and peak hour bombs one after another have definitely become his signature. In 2004, Jay moved to San Francisco, California where he immediately caught the attention of promoters and clubs such as Dragon, Industry, Gus Presents, Flavors You Crave, TobyGo, Shangrila, and Pleasuredome Presents. There he spun with some of the industry’s most recognizable names such as Jamie J. Sanchez, Luke Johnstone, DJ Alexander, Tony Moran, and Manny Lehman. When he’s not spinning, Jay is hard at work producing his own remixes. His very first remix of Glee’s “Don’t Stop Believin” became a worldwide viral download, along with Katy Perry’s “Firework”. Other notable productions are Lady GaGa’s “Monster”, Glee’s “Teenage Dream” and “Just The Way You Are”, Adele’s “Turning Tables”, True Blood’s “Bad Things”, Sebastian Castro’s “Bubble”, and Hardwell’s “Dare You”. Recently, Jay moved back to his hometown in Manila to reclaim his status of resident DJ in Bed Manila and to pursue more gigs in Asia. He has spun for some of the region’s most well known clubs and events such as D2, Angel, and Icon in Shanghai; Club Papa in Guangzhou; Jump in Taipei; Destination in Beijing; Soul and Club Papa in Shenzhen; Play and Hyperise at 1-Altitude and Avalon in Singapore; Le Queen, Club Gray, and #IAM Circuit Party in Seoul; Volume in Hong Kong; Big Pride Party in Guam; Jungle Circuit Party’s tour stops in the Philippines with the most notable stop at #LaBoracay in April 2015, and gCircuit’s Songkran9 and Songkran10 in Bangkok.